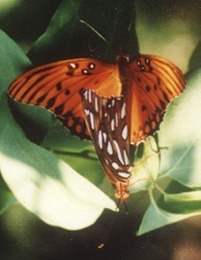 Gulf fritillaries are Heliconiinae butterflies. Their host plants are passionflower vines. 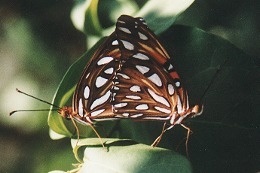 Gulf fritillaries have an elaborate courtship ritual. 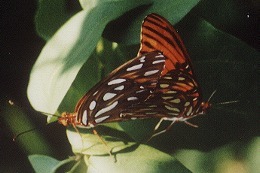 Once the female lands, the male lands next to her and pumps his wings spreading his pheromone. Receptive females rarely move but unreceptive ones will flutter or spread their wings.